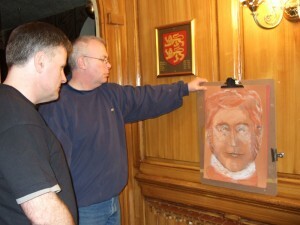 The following is a guest post by Stephen Cox and Gwyn Ardyth of Stephen Cox Art. I started my journey as a spiritual medium nearly twenty years ago when I joined a development circle in Sussex, England. But it all really began way before that, when as a young boy I could see, hear and experience things which I couldn’t explain. As an adult, I began searching for answers in earnest, eventually joining a local spiritual development circle. I remember one night I was sitting with the group doing our usual meditation, when suddenly I could see WWII fighter planes – Spitfires and Messerschmitt – all around me. It was very real. I could hear and see the aeroplanes in full battle mode swooping around me as I sat in the circle. What was fantastic was the person sitting next to me said ‘do you see the planes?’ before I could actually tell anybody what I was seeing! It was an incredible experience. To have someone ‘see’ the same thing that I was experiencing was a moment that I will never forget, and it was a turning point in my psychic development. Another time a group of us went to see a trance medium in Dorking. This medium channelled the spirit of a London ‘barrow boy’. 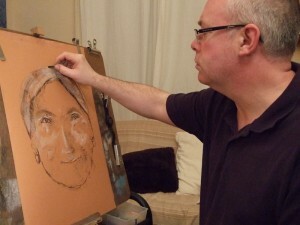 In a full cockney accent he pointed across the room to me and exclaimed: ‘you are going to be a psychic artist’. At the time I had no idea what a psychic artist was, but this set me going on a path which was to change my life. In the days before the Internet, I went to my local library and searched for whatever information on psychic art I could find. There was very little written on the subject, but after much persistence I finally came across a copy of the book The Living Image, by the great psychic artist, Coral Polge. She was one of the early pioneers of this form of spiritual mediumship. Finding her guidance was a huge boost for me and answered so many questions. It was like a light switch had been turned on – I just knew that this was what I was meant to be doing. My initial drawing attempts were just energy lines. Actually I didn’t know what they were then, but later I realised that these strange circles and lines repeated over and over on the paper were the first step towards learning to channel the images which Spirit was guiding me to do. Through meditation and learning to trust and work with my own spirit guide – to my amazement – these energy lines developed into faces which friends and colleagues began to recognise. My channel as a medium also started to open up as I found I was able to relay information to people with increasing accuracy. There are many ways that mediums can relay information from Spirit, but spirit portraiture is less well known. When a medium draws the likeness of a departed loved one or spirit guide, it provides a visual connection with the Spirit world. This can be compelling evidence that our loved ones are near to us on the other side. Psychic art, or spirit art (probably a more accurate name), can refer to inspirational or visionary paintings, aura paintings, trance paintings, etc., where instead of portraits, the artist medium channels spiritually inspired messages or symbolic images. These forms of spirit art might not include portraits of spirit guides or loved ones, but instead may consist of sacred geometry, symbols, colour and messages. These are all important forms of spirit art and ways in which Spirit help us all to gain greater understanding of ourselves and our own spiritual pathways. Many people who work as spirit artists may not have had any formal art training. I myself had no formal art training aside from achieving a British ‘O’ level in art. But drawing played no part in my career choice in the health service. So, when I began to develop as a medium and spirit artist, my initial drawings were very basic and simple. Through practice I eventually built a strong and trusting bond with my first artist spirit guide, Robert. He essentially trained me to trust his guidance and follow his lead. I often found myself drawing a man with light red, curly hair, a distinctive green coat and a lace tie. I drew him many times, without realising who he was. Yet there were certain characteristics which kept coming up time and time again, and it soon became apparent that these drawings were all the same person. I soon learned that he was a 17th century Scottish artist and he guided me through my early development. Most mediums have one or many spirit guides who help them in their work, and the spirit artist is no different. I actually now work with at least three spirit guides when I draw. A study of my gallery of spirit portraits will reveal three distinct drawing styles, and each one represents the ‘hand’ or style of the guide who was helping me at that particular moment. Spirit art can add a fascinating dimension to a paranormal investigation, bringing some visual evidence of the spirits or energies still connected to an apparently haunted location. It’s especially meaningful when someone present is able to recognize the spirit I’ve drawn. Gwyn and I were invited to take part in an overnight investigation at a 17th Century inn in Surrey. A small group of us sat in the pitch black, eerie cellar where we sensed the dark energy of a group of men moving closer to us. Some of the group had stayed upstairs in the hub and reported to us by walkie talkie that the infrared cameras were picking up some light anomalies. As I turned on my small torch to begin drawing, I felt I could easily draw one of the more aggressive entities, but instead I found myself drawing a young girl, which surprised all of us. Later that same night, I felt I had to sit at the top of the inn stairs and draw. As I worked on the drawing it developed into an image of an older Victorian gentleman. I felt he was the head of the household and was very strict. He was connected with the girl somehow. A team member took a series of photos of me while I sat drawing on the top step. The photos showed a strange mist which seemed to move across the staircase near my feet! When we finished our investigation, I had a chance to talk with the inn’s landlord. He told me that he often saw a little girl appear near his rooms. This was the girl who had come through my drawing in the cellar! He had also seen a Victorian gentleman at the top of the stairs on more than one occasion. When I showed him my drawings he was genuinely moved as he recognized them both as the spectral figures he had seen himself. This was fantastic confirmation of his personal experiences there. I’ve had wonderful experiences reading for people around the world. My wife Gwyn and I travelled to Western Australia a few years ago and it was a privilege to read for so many lovely people there. One reading in particular was very moving. I was asked to read for several people at a private home just outside of Bunbury, WA. 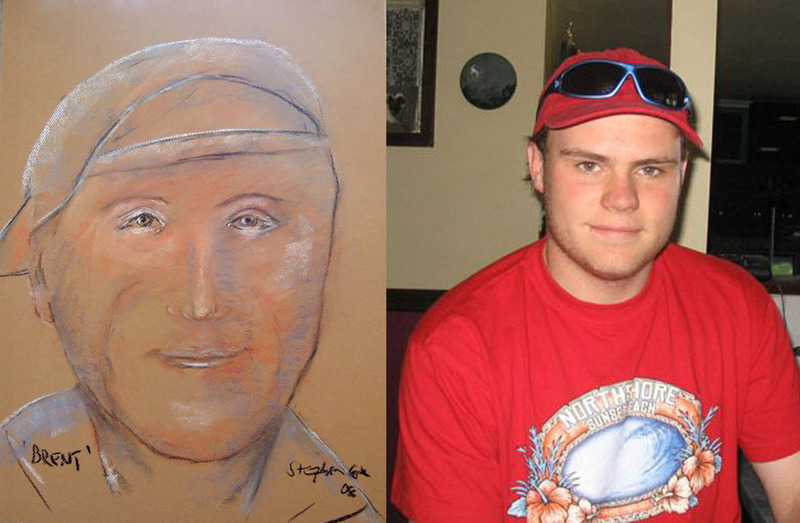 As I sat with my first client, I found myself drawing a young man with a cheeky grin wearing a baseball cap backwards. As the drawing develop, the woman I was reading for cried tears of recognition. 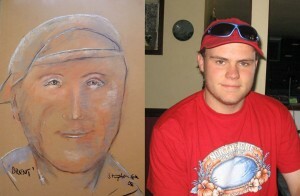 She told me that the young man in the drawing was her son Brent who had tragically passed away in an accident. She was then able to show me some photos of Brent wearing one of his signature baseball caps. It’s extremely rewarding to be able to draw for someone the image of their guide or loved one, and offer some form of visual proof that life continues after we pass over. Stephen lives and works in Somerset, England. He gives private readings and demonstrations to people around the world, and with his artist wife Gwyn delivers workshops on spirit art development. 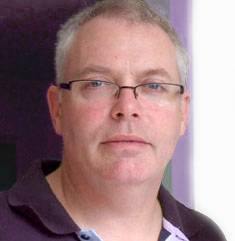 Stephen’s work has been featured in several books, including: Spiritual Guides in the West Country by Jane E. White, The Red Man Cometh by Geraldine Pengelly, Ghosts of Arnos Manor Hotel, Bristol by Ken Taylor, and Ghosts by Jon Izzard. For more information about Stephen Cox and Psychic Art visit Stephen Cox Art. To Leave a Comment on Spirit Art Click here…….